I would suggest making the bottom portion (Copywright/yourname and social media icons) to take the full width in smaller screens such as mobile devices. Below is what it looks like on an Iphone 7. 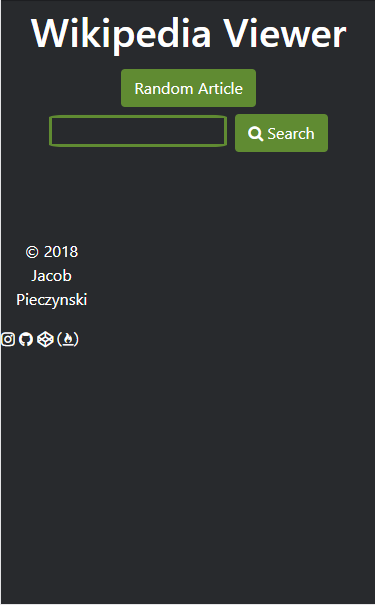 My other suggestion is to make the entire button execute the search or open the random quote instead of just the anchor text. Also, I would remove the underline of the anchor text on mouseover. with (text-decoration: none;) and maybe darken the text on mouseover and/or change the green background of the button too. It will give the user clarity that they are ove the button.